A whole world of new experiences in continuous evolution with successive firmware updates via internet. Includes the latest and most powerful multimedia decoder chipset Realtek 1185 with advanced playback of HD files and web services. Because of its small size and portability, you can connect the HMR4000 in the audiovisual system of your home or car. In constant evolution of functions. Easy upgrade with new features, codecs, etc.. with the latest firmware that can be downloaded online. Format the hard drive and create partitions easily through its menu. ALSO automatically installs the networking options and other advanced features. Enjoy your digital photos in JPEG, BMP, GIF, TIF, PNG with HD quality and lots of effects and visualization capabilities. The HMR4000 supports MP3, OGG, WMA, AAC, Dolby Digital, DTS, AC3, DD. You can play your music from Lan, USB Host, Card Reader or internal HDD. Copy files from the PC HMR4000 or different devices with USB connection. You can create and delete folders to have all files sorted. HMR4000 can use as USB external storage drive to back up data from your PC or share data with other computers. It can accommodate any SATA 3.5 hard drive of any capacity. High-Definition Multi-media Interface (HDMI) is a high-definition multimedia interface. Allows use of standard, enhanced or high definition, as well as multichannel digital audio on a single cable. 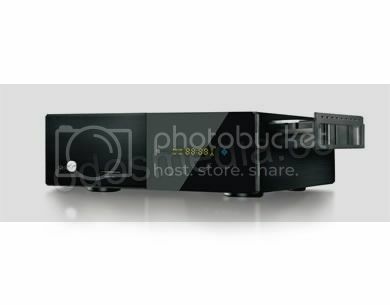 Integrated dual tuner DVB-T HD H.264, EPG, Time Shift, Scheduled Recording, etc.Reproducción of H.264, MKV, MOV HD, WMV9, FLV … natively … from the hard disk, USB Host, UPnP, LAN ..
Includes 2 USB HOST to play multimedia content of external USB devices (HDD, DVD, memory cards, etc.) can also connect a USB WiFi adapter (optional) for wireless access.